Although stylist will be an independent contractor, we are looking for someone who is a team player and is inspired by (and wants to participate in!) achieving our Business and Client Missions. Stylist must be willing and able to maintain high regard for Main Street Hair Designs and have high standards for themselves and their reputation. We are looking for someone who will put in the extra effort that it takes to maintain a warm and caring environment. This means basic help with salon cleanliness and also that each stylist will be equally concerned about the comfort of ALL clients who walk in the door. 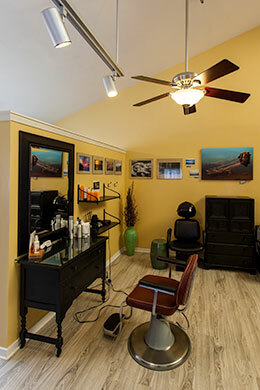 Stylist must be willing to greet ALL customers and help them feel special and important. Also, all stylists in the salon must respect and protect each other's stylist/client time (meaning that time is not interrupted so that each guest feels that they are cared for in the way they deserve). Stylist must dress appropriately for a successful day, presenting yourself as you would like your clients to feel after leaving your care. Stylist should be willing to respect all co-workers and guests and be appropriate, positive and constructive in all conversations.